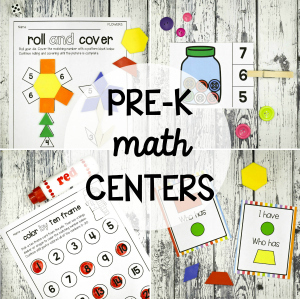 Ready or not, back to school season is upon us! 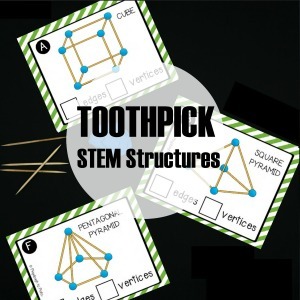 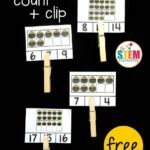 We are making it even more fun by being prepared to start the year right with playful, hands-on math games like these Back to School Addition Clip Cards. 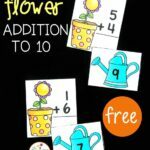 They are a great way to review addition facts to 10, while sneaking in some fine motor work, too! 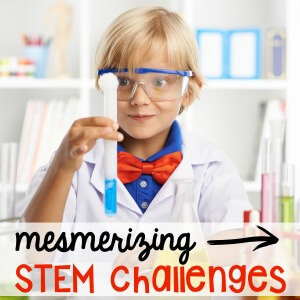 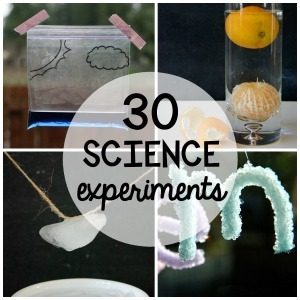 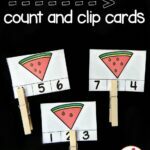 Clip cards are one of my favorite activities not only because they are fun, but because they are super easy to prep. 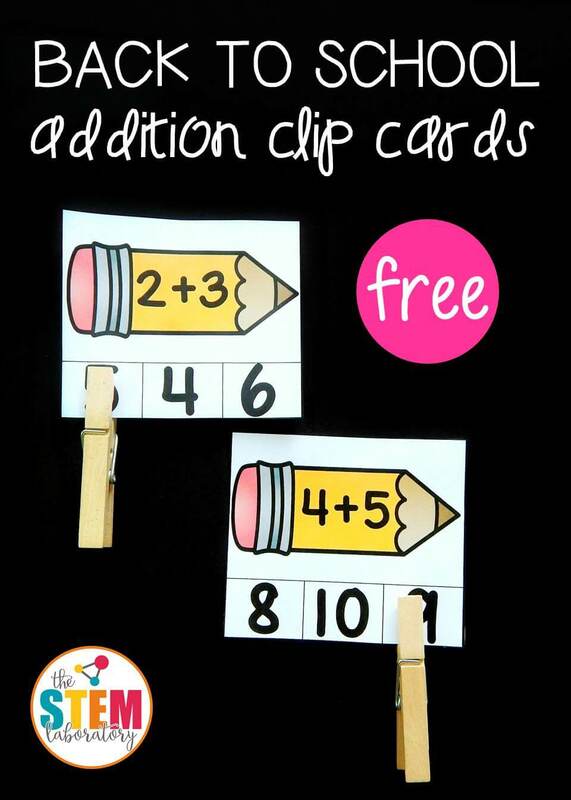 To get these ready for my students, I simply printed out the 18 addition cards from the file, laminated them (I always laminated my clip cards so that I don’t need to remake them from year to year) and then cut them out. 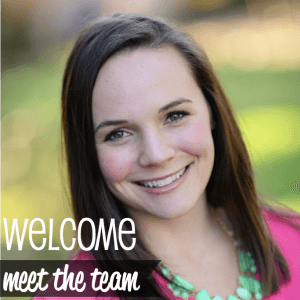 Finally, I added them to a small basket with clothespins, and voila – a new addition center was ready to go! 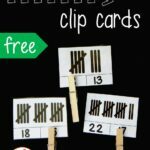 My students are very familiar with clip cards, so they knew exactly how to play these independently during math workshop, but you could also use them as a small group activity, or for fast finishers as a go-to activity if work is wrapped up early. 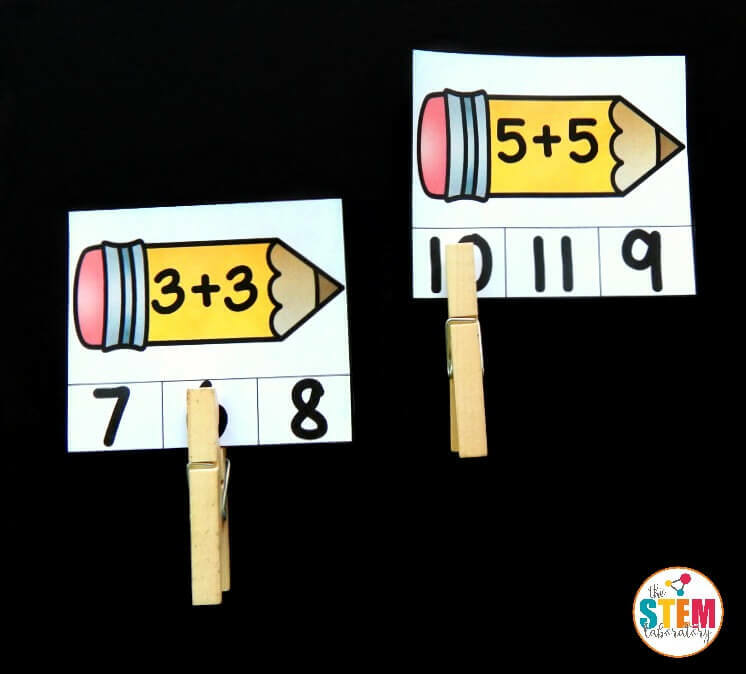 My students quickly grabbed a clothespin, read the equation on the pencil, and clipped the answer to the addition problem. 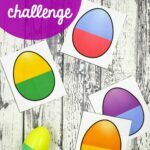 You could make these cards self-correcting if you chose, by marking the correct answer on the back of each card with a sticker or a marker dot. 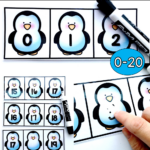 This can be helpful if you are having students complete them alone because they can clip all of the cards, and then check their work to see if they were correct. 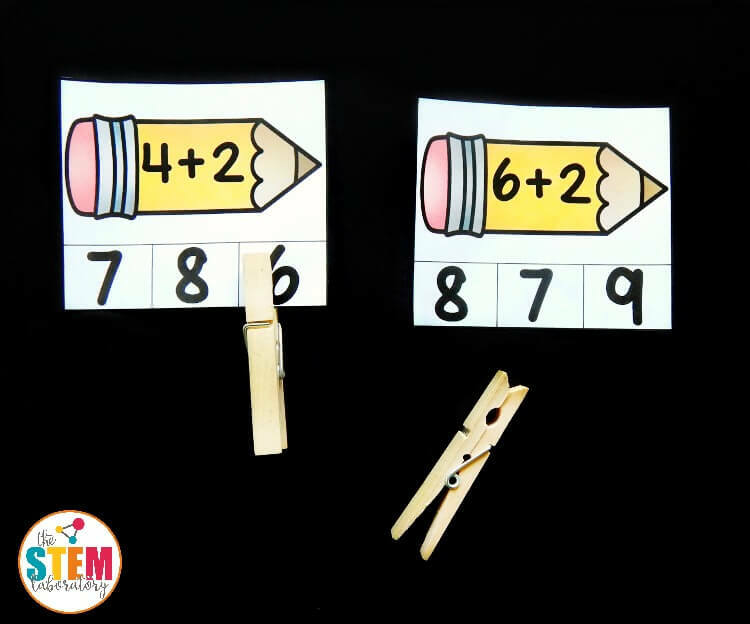 Students kept solving problems and clipping, working on both their math facts and strengthening those finger muscles (clothespins are great fine motor work) until all of the cards were complete! 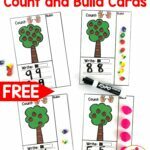 Ready to work on those addition facts to 10 and get in some fun fine motor practice while you are at it? 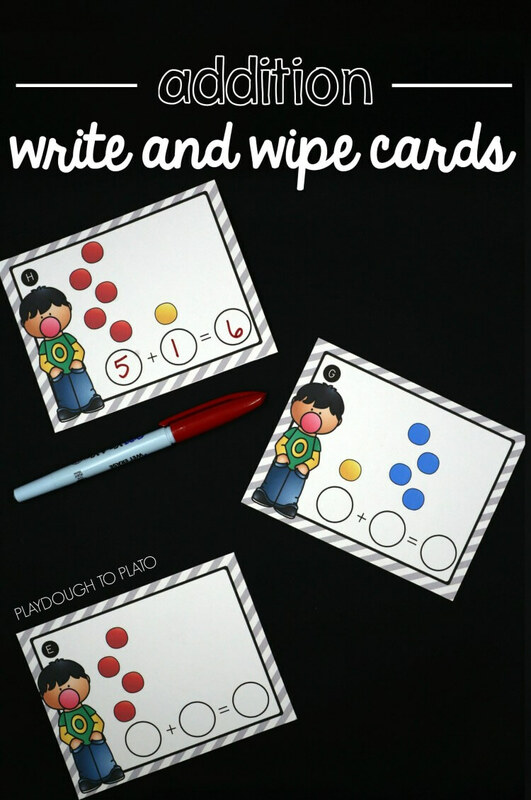 Grab your copy of the Back to School themed addition clip cards by clicking the button below and then hop over and snag our Addition Write and Wipe Cards too!